March 18th marked the beginning of an eventful week. News of the Cambridge Analytica Facebook scandal broke, an unseasonably late snow storm- dubbed “the mini beast from the East”- hit London, and Linda Raftree and the organizers of MERL Tech London 2018 brought together M&E (monitoring and evaluation) professionals from around the globe for its second annual conference in the United Kingdom capital. The conference, which heavily focused on data protection, went off without a hitch and was a productive convergence of people, organizations, and perspectives. Relevant and informative sessions discussed topics such as General Data Protection Regulation (GDPR), big data, machine learning, blockchain, the maturation of data collection platforms, and ethical collection practices. We even fit in time to share the glorious failures of colleagues with an inspiring- yes, inspiring- Fail Festival! By teaming up to create an interactive lunchtime session, Anja Kessler of Oxfam Canada and SurveyCTO’s Audra Blanchfield contributed to the robust dialogue by sharing field-tested approaches to safely and securely collecting high quality data in challenging environments. In our session, BINGO! Quality Data Collection Isn’t a Game, but OCA won with SurveyCTO, Kessler shared strategies employed by Oxfam Canada’s Violence Against Women and Girls (VAWG) to uphold the organization’s dedication to highly ethical data collection practices and excellence in MEL (monitoring, evaluation, and learning). Kessler sat down with us to share more about Oxfam Canada’s past learnings and how they are incorporating those lessons for even better programming throughout VAWG programs, including Creating Spaces to Act on Violence Against Women and Girls (CS). Introductions first! Tell us a little about yourself and Oxfam Canada’s global VAWG programs across the world. I started working with Oxfam Canada in 2014 when I was looking for an organization that more closely aligns with my values on gender equality, women’s rights, and global justice. Oxfam works in humanitarian emergency response, on long-term development and resilience of communities, and on advocacy and campaigns to change the systems of inequality worldwide. At Oxfam Canada, we put women’s experiences and their rights at the heart of everything we do – from building latrines in refugee camps that are safe to use for women (the difference a lightbulb makes!) to supporting our partners in Nepal to push for legislative change that will protect girls from early marriage. In everything we do, we work with local partners to support their vision of change and amplify their voices. With virtual reality, blockchain, and artificial intelligence/machine learning, the focus of many conversations in this space, why does Oxfam Canada continue to prioritize excellence in data collection over all else? In other words, why is data collection important to VAWG programs? With every program and project, we need to know where to start to maximize impact. We create baseline studies, often in areas where no previous data is available. That is most often the case when it comes to our main focus of work – violence against women and girls and the norms, behaviours, and attitudes that both give space to the violence and are an essential component of change. The data we collect informs our projects, but it also informs the locales we work in and reflects back our research experience and, with time, the change our partners want to see in their communities. You switched from paper to digital data collection when you adopted SurveyCTO. Share more about why you made the switch. The big driver in our decision to use one digital survey technology is the need for comprehensive data across the six countries we are implementing one project, Creating Spaces to Act on Violence Against Women and Girls (CS). 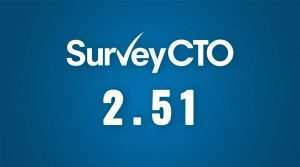 SurveyCTO, in particular, made the whole process easier, more efficient, and allowed increased accuracy in the data which was critical in this multifaceted project. Creating Spaces (CS) is a multi-year, multi-country project that works on multiple levels for positive change. We’re creating spaces for support. Women who experience violence often lack access to support services. Creating Spaces improves access to social services, medical assistance, counseling, job training, and legal aid. We’re creating spaces for justice. Laws often exist, but go unenforced or unchallenged. Creating Spaces works with legal professionals and community leaders to uphold the rights of women and girls. We educate women to better understand – and fight for – their right to a life free of violence. We’re creating spaces for change. Creating Spaces facilitates knowledge-sharing between local partners and countries to generate widespread change. Data collection improves our project design, monitoring process, and feedback loop. And digital data collection is far more efficient, precise, and cohesive across multiple countries, languages, and skill sets. What advice would you give to a team thinking about switching from paper to digital? Know your context. Not all countries, localities make digital collection a safe choice. Know your audience. Not all communities engage with digital technology the same way. Especially when tackling complex issues like violence against women, we need to be sensitive to the perceived lack of trust in technology, to possible abuse of data by those in power, and to issues of safety and privacy. Digital is not always the right answer, but attitudes also change very quickly where technology is concerned. And most of all, build in lots of time to test things out, and if necessary, start over. What are examples of big wins for Oxfam Canada in using SurveyCTO? For Creating Spaces to Act on Violence Against Women and Girls (CS), we had a successful implementation of our household survey, with over 1500 surveys collected in 5 countries. The lessons learned from the pilot, the overall ease of usage of the tool, and the value for money it provides prompted us to use it again (successfully!) in two more Global Affairs Canada (GAC) funded projects. We are building our own capacity with SurveyCTO, and we hope to expand that familiarity and learning to many of our partners for their own projects. What are some of the most important learnings that now inform your work going forward? We’re really hoping to be able to demonstrate better responsiveness and accountability to our partners and all the people we work with. We plan to do this by sharing data, tools, our experiences, and even failures. Practically, there are two things we’d like to get a better grip on and that is (1) informed consent and (2) the use of audio files in data collection. We’ve tried using a recorded consent message and monitoring via time stamps whether data collectors played them to respondents, but the message turned out to be too cumbersome and the language not always appropriate. Additionally, the time it took to proceed from consent to survey question was off-putting for respondents. We have to find a better way to integrate giving consent while being able to monitor its application – a simple check bar cannot be verifiably informed consent. We’re still hoping audio integration will give us that solution, and then, we can explore other ways of using audio files. So what’s next for Oxfam Canada? The next big step for us will be better workflow from data collection to data presentation. As much as we are looking for new and improved technology to support our VAWG programs, we are also looking back to the basics, to storytelling and using our eyes, ears, and hearts to listen to those with less opportunity to be heard. A very special thank you to Anja Kessler, ICT Platforms & Knowledge Management Officer, Oxfam Canada. 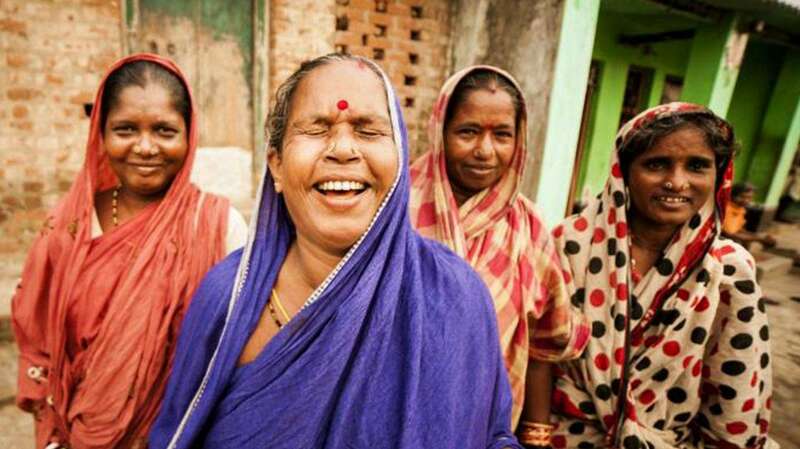 To learn more about VAWG projects follow @OxfamCanada or check them out on Facebook, or their website.